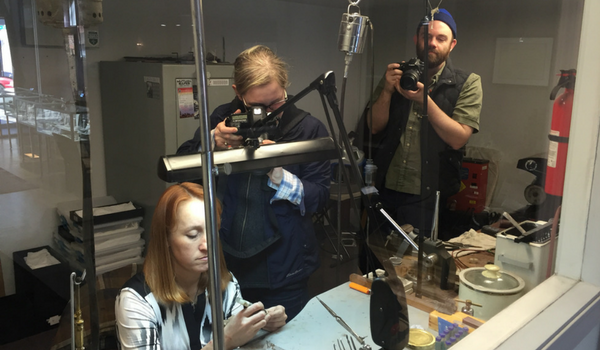 Radiance Fine Jewelry came to Sparkfactor in need of two new brochures to show to prospective clients, and a desire to add a Google virtual tour to their marketing efforts. Radiance Fine Jewelry is a neighborhood jewelry boutique that offers collections from top designs as well as the option for custom pieces using the latest computer-aided design technology. They also offer appraisals for insurance purposes and restoring services. Ingrid, David, and George spent a day at the Radiance store in Bucktown photographing the Google virtual tour and gathering images to use in the brochures. 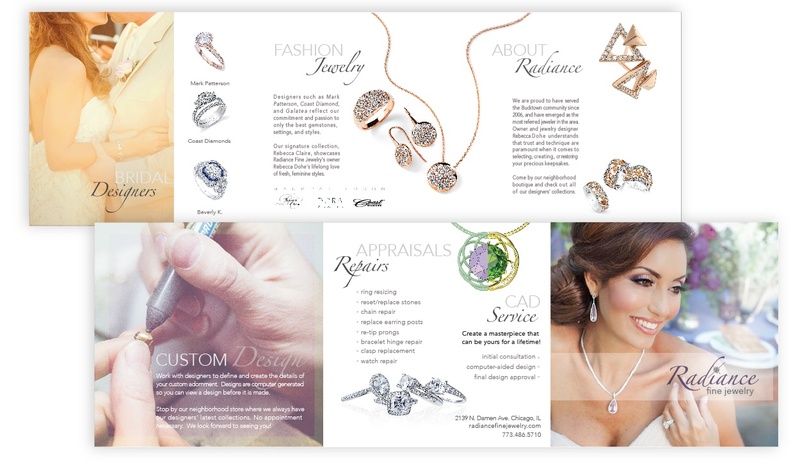 Sparkfactor designed two brochures: a general brochure to explain their myriad of services and showcase their exceptional designers and one specifically for bridal jewelry. 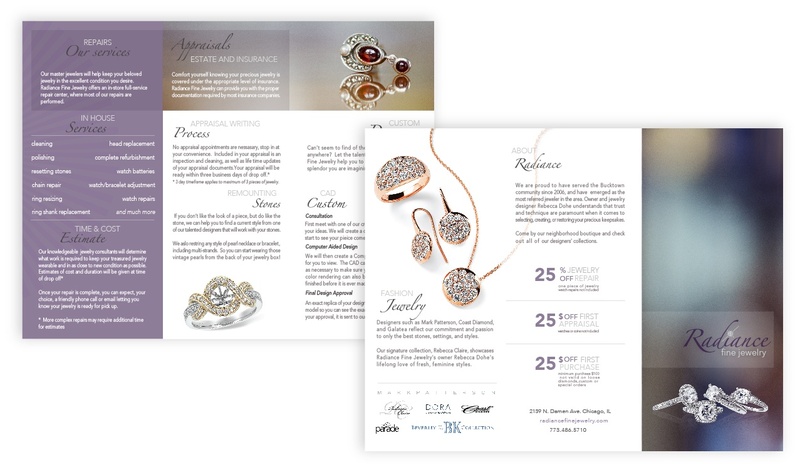 Working with the content that Radiance provided, Sparkfactor helped Radiance develop content around the specific audiences and deciding what was the most important content for each brochure. Ultimately, the brochures are a great tool to use to get people excited about the services Radiance offers and to bring them back into the store. Whether you need new brochures, a new website, or a new email campaign, Sparkfactor can help you with all of your marketing needs. See how we can work together now.